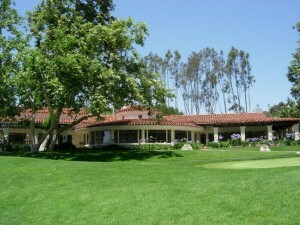 How fares the Rancho Santa Fe real estate market? San Diego’s high end coastal North County is surviving the real estate storm fairly well at least compared to the rest of San Diego County. We’ve had a surge of buyer interest in Rancho Santa Fe real estate lately, and the folks at First American Title were kind enough to share some of their recent San Diego market research with us. Rancho Santa Fe has the highest home prices in San Diego County, and also consistently makes the top ten lists of priciest homes in the United States as well. Many affluent home buyers want the peace, land and privacy afforded by Rancho Santa Fe. Home prices here generally start at $2 million and quickly rise to multiples of that amount. To search real time market stats for Rancho Santa Fe, you can easily do so by clicking the appropriate link to the right of this site. I was interested in a simple macro view of how of how the Rancho Santa Fe real estate market performed from 2006 to 2007, in relation to its coastal North County neighbors. The chart below shows how Rancho Santa Fe is faring with homes in the 92067 area falling 7.6 percent from 2006 to 2007 and the more rural 92091 (which includes the gated community of Cielo) actually rising 7.4 percent. It is also worth noting that the wealthy gravitate to San Diego County. San Diego is home to 7 billionaires and over 100,000 millionaires, who do much to keep our local economy in forward motion. They are settled throughout the county, but a large and unspecified number live behind the private gates of Rancho Santa Fe.